Pawnee City, the county seat of Pawnee County, was platted and the first lots were sold in the spring of 1857. 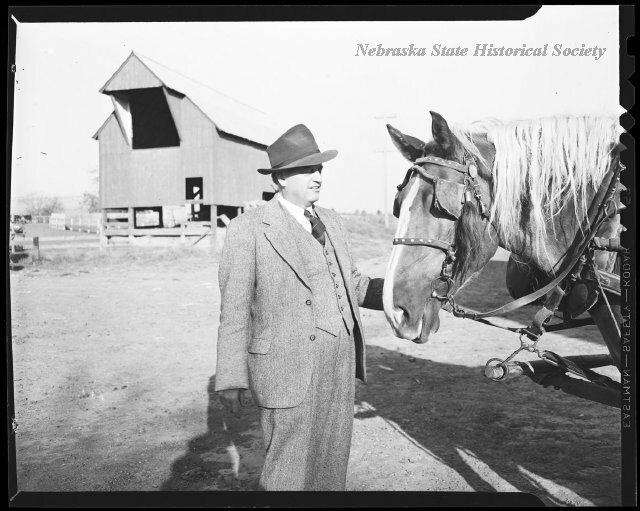 The county, named for the Pawnee Indians who lived in Nebraska for generations, was defined by the territorial legislature on March 3, 1855. This site was designated as the county seat when the county was organized at a November 4, 1856 election. A permanent courthouse of limestone construction was completed in 1869. Pawnee City's population was 763 by 1880. A disastrous fire in August of 1881 destroyed two-thirds of the business district which was rebuilt primarily with fireproof construction during the late nineteenth and early twentieth centuries. Fifty-six structures in a six-block area, including the 1911 county courthouse, are included within the Pawnee City Historic Business District listed in the National Register of Historic Places in 1994. 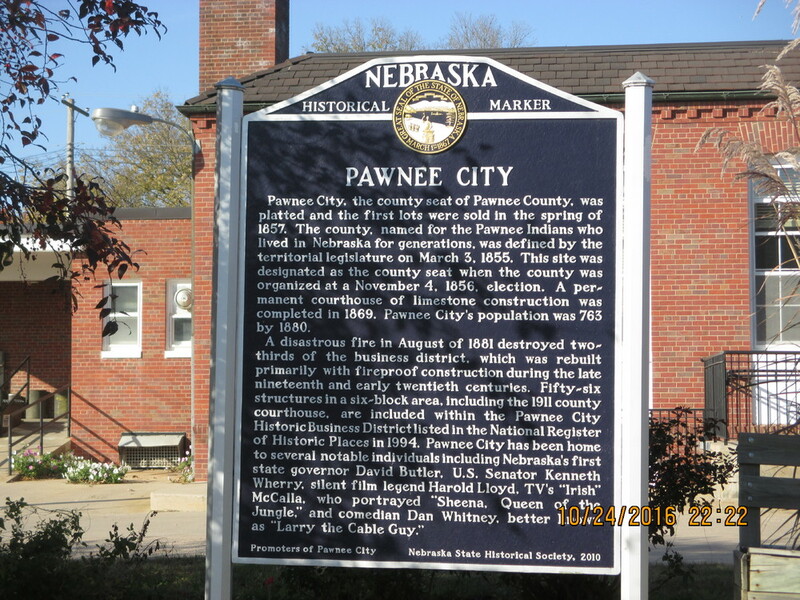 Pawnee City has been home to several notable individuals including Nebraska's first state governor David Butler, U.S. Senator Kenneth Wherry, silent film legend, Harold Lloyd, TV's "Irish" McCalla, who portrayed "Sheena, Queen of the Jungle," and comedian Dan Whitney, better known as "Larry the Cable Guy." 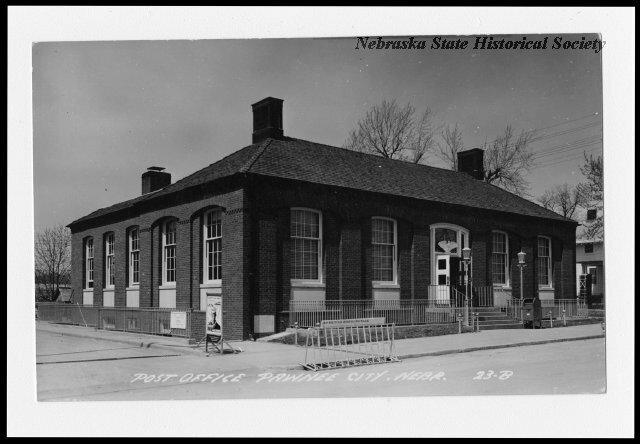 “Pawnee City,” Explore Nebraska History, accessed April 19, 2019, https://mynehistory.com/items/show/395.